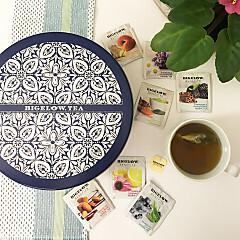 The ultimate gift for the caffeine-free herb tea drinker who likes berries! 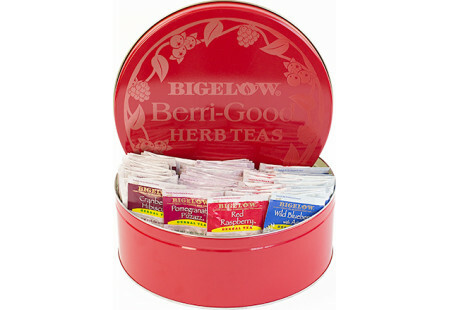 Engraved tin includes Bigelow Pomegranate Pizzazz Herb, Red Raspberry Herb, Wild Blueberry & Acai Herb and Cranberry Hibiscus Herb teas. 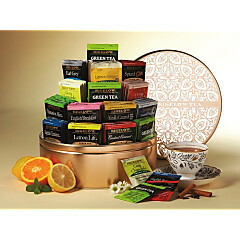 128 tea bags in all!